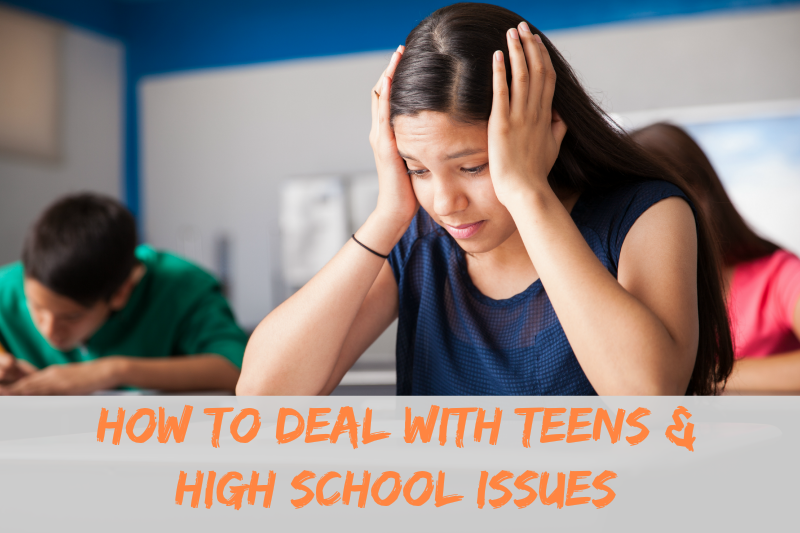 As a parent of two teens, I am often asked how to deal with teens and high school issues. The truth is I don’t think there is a right or wrong answer. Personally for me, it’s been a learning curve. What often works with one of my teens doesn’t always seem to work with the other one. It’s been a lot of trial and error. Let’s face it not all kids can handle the transition from middle school to high school, whilst in their teens, with maturity and insight. Many of them get overwhelmed with the changes high school now brings, that they lose their ability to think for themselves. As adults, these issues may seem silly or even non-existent. However, these issues are just as much real, as issues of adult life. The severity with which they affect your teen and shape their mind, makes it imperative for parents and teachers to understand when dealing with high-school student issues. Let’s look at some of the problems, which are usually brushed under the rug by most adults, until they surface as irreparable damage. Teens between the ages of 15-17, usually start developing relationships outside the home which is completely natural. However, most of these new relationships are often hidden from parents if the friends happen to be older. If your teen is spending too much time online on social networks, talking on the phone or texting at all times, it is now time for you to intervene. Teens at this age are often secretive, defensive, and rebellious. The moment you judge them on the basis on their friends; they will go out-of-the-way to do the things they aren’t supposed to, in order to hurt you. Not only will this jeopardize your relationship with your teen, but it will also earn you the label of over controlling parent who just doesn’t understand. I’m not saying that is true but of course that is what most teens are going to THINK. Estranged relationships with teenagers are very difficult to mend, especially if there is a chance of them moving out for college soon. Make your teen observe their own friends and give them the opportunity to realize the wrong aspects of their company. Being supportive is very important to maintain a relationship of trust with your teenager. We all know that peer pressure is one of the biggest issues that every teen faces. It may be as simple as skipping classes to as serious as smoking and underage drinking. Most parents’ feel that peer pressure cannot be dealt with, as it takes place outside the home. However, peer pressure does change the way your teen behaves at home, in more ways than you think. For instance, changes in speaking patterns, dressing styles, academics and overall behavior, are very much dictated by peer pressure. Being a little observant and noticing the changes, will help you see the effects of peer pressure at home. Help your teen see the changes and make them realize the importance of uniqueness. Making your teenager understand the need to think on their own, can save them from dire consequences of peer pressure. Let’s face it sometimes high school comes as a breather for teens after years of strict schooling and hand holding. With a lot more free time on their hands, books often take a backseat and the focus shifts to everything else other than grades. At this stage, high-school students begin to get lower grades and negative feedback from teachers sent home to parents. So, be sure to make a mental note of where your child’s focus is deviating and look deeper into the problem to understand the root cause. At these stages’ friends, clubbing, video games, social networks and other such as extra-curricular activities, yield nothing constructive, and usually become the focus of life for high-school students. Instead of reprimanding your teen, try to talk to them and make them understand that academics and fun can be balanced with a little planning and time management. As the focus from academics’ shifts, a lack of ambition usually sets in. The drive to achieve good grades and to do well in high school are overshadowed by love tangles, triangles, and friendships. Show your teen the possible career in all streams and help him figure out their inclinations. 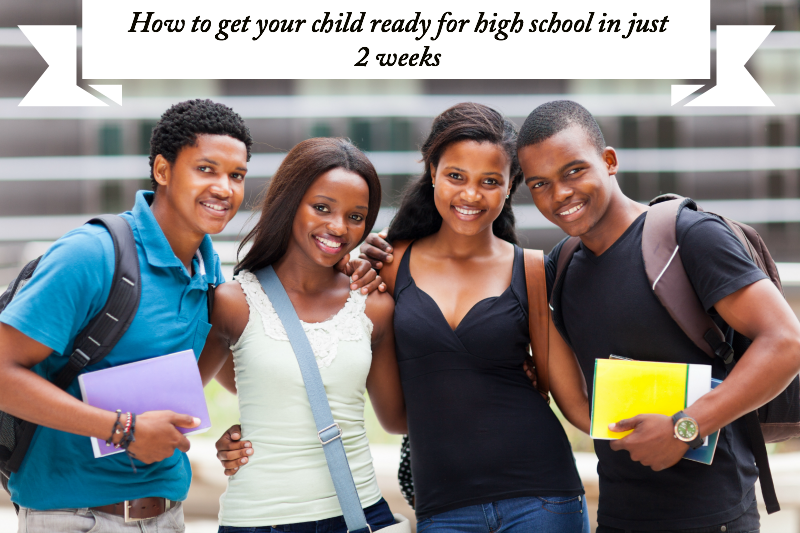 Sometimes it takes a little while for teens to know what they want to do after high school, however, it isn’t an impossible task to start thinking and working towards it early on. Lack of ambitions needs to be fueled with right interest, to get your child back on the track of following his dreams. The truth is every teen faces these difficulties and dealing with teen issues is no easy mission. However, giving up on your teenager is not an option either. High school brings teens on crossroads, which leaves them in an incomprehensibly chaotic state of mind. However, with patience and a will to help your teen become an independent and empowered person, who can differentiate between the right and wrong is only a part of parenting! Does anyone remember when everyone was into color contact lens as a fashion trend? I know I do. When I was a teen, I remember that was the “in” thing. It seemed like everyone was changing his or her eye colors with the help of contact lens. 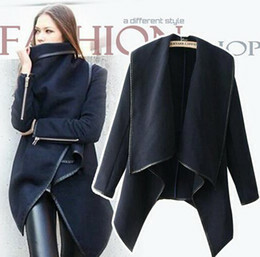 The truth is nobody even needed them,this was all about making a fashion statement! That also meant we were purchasing them without a prescription! Now that I am a mom, it kills me to think my teens would do something so crazy as that! To be honest I really didn’t think people were still doing it! 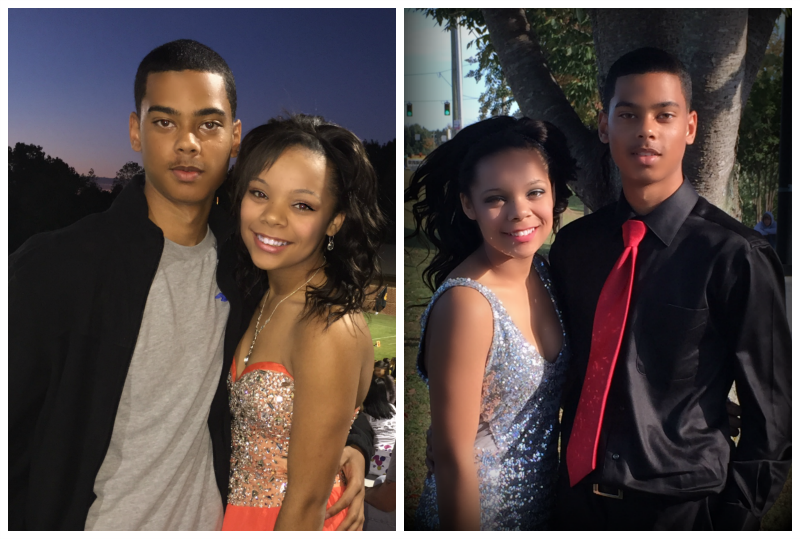 LOL that was so 90’s..However My Son went to homecoming this weekend so of course i took plenty of pictures and was posting to Instagram. That also meant i was watching hash tags and noticed a lot of teens are bringing back the colored contacts as a fashion statement again! 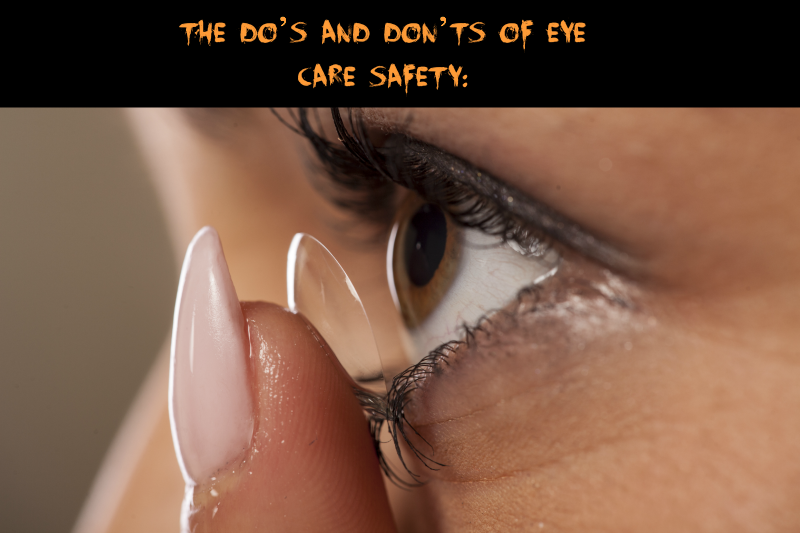 So with homecoming dances, Halloween and all the other fall events Johnson & Johnson Vision Care, Inc., manufacturer of ACUVUE® Brand Contact Lenses, aims to remind us, especially teens how important it is to practice safe contact lens wear and care. Thankfully my kids love their beautiful eyes just the way they are so I don’t think I will have to even deal with that. However I still want to do what I can to help any other teen prevent eye damage and stress the importance in eye care. Did you know that according to the American Optometric Association’s 2013 American Eye-Q® consumer survey, 17 percent of Americans have worn decorative contact lenses that don’t provide vision correction as part of a costume or for other cosmetic purposes. Of those individuals, 24 percent purchased them without a prescription from a source other than an eye doctor. The truth is wearing decorative contact lenses may seem fun and harmless but it can actually permanently damage vision. The American Optometric Association advises consumers that all contact lenses are classified as medical devices by the U.S. Food and Drug Administration and require a valid prescription. So, no matter the reason for wanting to use contacts please see a licensed eye care professional to get a safe fitted pair! Don’t take a chance on your eye health just to make a fashion statement! For more information, additional tips visit Johnson & Johnson Vision Care, Inc .
Teenagers are those mysterious creatures that parents who don’t have them, yet, often hear about from parents who did have them at one time, and who parents currently dealing with teens seem at a loss for answers about. If you find yourself anxious about the teen years with your children, or if you have them already and don’t know how to communicate with them, try these helpful tips and hints. This is a very simple thing to do, but often eludes so many parents. Why? Because no one really knows what teens like to do, right? Spend time with your kids before school, after school, and on the weekends as much as you can. Get them up early for a family breakfast once a week. Make family dinner something you do at your house, no matter what. Go for a walk with your kids to get some exercise at least three times a week and ask about their days. By spending time with them and being present with them during the time you are spending, you are showing your kids that you care and want to be involved. You don’t have to force them to do things they don’t like, or force yourself to do things you don’t like. Just set up a routine that is expected f everyone to follow and use that as a time to connect with your children daily. Do not ask your child “Did you have a good day?” They will respond with a one word answer! Instead, ask them what they did during the day, how soccer practice was, if they resolved that issue with their friend and how they did it. Make conversation with them, don’t just as a series of questions and expect them to take the initiative to talk to you. Hint: they won’t do it! That’s why it is your job to make the conversation happen. Don’t pry too much, though. If your child doesn’t ant to talk about something, understand that and tell them “If you change your mind, you know I am always here to talk and listen.” This will show them you respect their space and boundaries, but that you are always there for them. 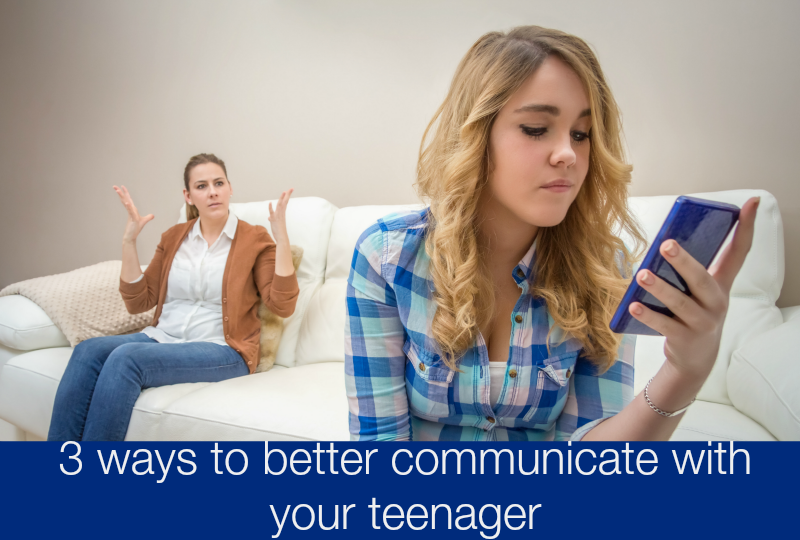 Showing respect to your teenager, and not just expecting them to respect you, goes a long way in building a strong relationship full of communication. Do not tell your child “You never listen to me.” The word “never” puts your child in a box and does nothing to help the situation. Instead, say something like “I wish you would take a moment to listen to what I am saying and talk to me. It would mean a lot.” This will get their attention and doesn’t make them feel like you are talking down to them or nagging. Sometimes, just changing your wording can make the difference in your child wanting to communicate with you. It’s no secret, I officially have 2 teens now, and my oldest is driving! That also means my blog has been slowly changing its focus over the last few months. I feel that as my kids go through these teenage years I also need to start blogging about important teen issues. Trust me being a parent of a teen is a learning curve. I knew it was going to be a change but WOAH I didn’t know how big of a change I was in for. 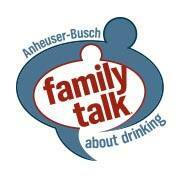 As many of you know I was also picked to be apart of the Anheuser-Busch’s Family Talk About Drinking Ambassador Program. I shared with you great information on how to talk to your teens about underage drinking during prom season and all the end of the year parties. I was impressed with the emails I received thanking me for my posts. I also enjoyed hearing stories on how you all approached this important topic with your own teens. Now that back to school season is upon us, and which means a lot of teens are going off to college without parent supervision, I wanted to take this time to remind parents to have that talk again! Let’s face it that means that they’re more open to doing things they know they shouldn’t do. They are now going to have newfound freedom and of course more peer pressure. We have all been there and done that when we were younger. We made our mistakes and hopefully we learned from them. As parents, we need to remember back to our college days! Yea, I bet your thinking about those late night parties and all the crazy mistakes you made. So, this means this is the perfect time to talk to your teen about the under age drinking again before they start heading off to college. Underage drinking is one of the most important talks that you have with your teen no matter how many times you have had the talk before. You want them to know your expectations as their parents, and know the dangers and risk involved. Moving out does not free them from responsibilities, family values, expectations, and of course the law. As parents, I feel we should take time to acknowledge positive choices and encourage our children, as he or she is moving in the right direction. This also means that as parents we need to make sure that even though we don’t see our teens daily that the lines of communication is open and that you are regularly checking in on your teen but also allowing them freedom as they are starting a new chapter in their lives. So whether your teen is attending college, enlisting in the military or just moving out of the house please make sure to have this important talk again before they walk out that door. To learn more about how to speak to your teen about underage drinking go to “Family Talk About Drinking” Facebook page to download the Parent Guide today.